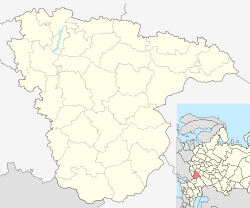 Voronezh (Russian: Воро́неж, IPA: [vɐˈronʲɪʂ]) is a city and the administrative center of Voronezh Oblast, Russia, straddling the Voronezh River and located 12 kilometers (7.5 mi) from where it flows into the Don. The city sits on the Southeastern Railway, which connects European Russia with the Urals and Siberia, the Caucasus and Ukraine, and the M4 highway (Moscow–Voronezh–Rostov-on-Don–Novorossiysk). Its population in 2016 was estimated to be 1,032,895; up from 889,680 recorded in the 2010 Census; it is the fourteenth most populous city in the country. The first chronicle references to the word "Voronezh" are dated 1177, when the Ryazan prince Yaropolk, having lost the battle, fled "to Voronozh" and there was moving "from hail into hail." Modern data of archeology and history interpret Voronezh as a geographical region, which included the Voronezh river (tributary of the Don) and a number of settlements. In the lower reaches of the river, an unique Slavic town-planning complex of the 8th – early 11th century was discovered, which covered the territory of the present city of Voronezh and its environs (about 42 km long, about 13 forts and many unfortified villages). By the 12th – 13th centuries, most of the old “hails” were desolate, but new settlements appeared upstream, closer to Ryazan. For many years, the hypothesis of the Soviet historian Vladimir Zagorovsky dominated: he produced the toponym "Voronezh" from the hypothetical Slavic personal name Voroneg. This man allegedly gave the name of a small town in the Chernigov Principality (now the village of Voronezh in Ukraine). Later, in the XI or XII centuries, the settlers were able to "transfer" this name to the Don region, where they named the second city Voronezh, and the river got its name from the city. However, now many researchers criticize the hypothesis, since in reality neither the name of Voroneg nor the second city was revealed, and usually the names of Russian cities repeated the names of the rivers, but not vice versa. The linguistic comparative analysis of the name "Voronezh" was carried out by the Khovansky Foundation in 2009. There is an indication of the place names of many countries in Eurasia, which may partly be not only similar in sound, but also united by common Indo-European languages: Varanasi, Varna, Verona, Brno, etc. A comprehensive scientific analysis was conducted in 2015–2016 by the historian Pavel Popov. His conclusion: "Voronezh" is a probable Slavic macrotoponym associated with outstanding signs of nature, has a root voron- (from the proto-Slavic vorn) in the meaning of "black, dark" and the suffix -ezh (-azh, -ozh). It was not “transferred” and in the 8th - 9th centuries it marked a vast territory covered with black forests (oak forests) - from the mouth of the Voronezh river to the Voronozhsky annalistic forests in the middle and upper reaches of the river, and in the west to the Don (many forests were cut down). The historian believes that the main "city" of the early town-planning complex could repeat the name of the region – Voronezh. Now the hillfort is located in the administrative part of the modern city, in the Voronezh upland oak forest. This is one of Europe's largest ancient Slavic hillforts, the area of which – more than 9 hectares – 13 times the area of the main settlement in Kiev before the baptism of Rus. Folk etymology claims the name comes from combining the Russian words for raven (ворон) and hedgehog (еж) into Воронеж. According to this explanation two Slavic tribes named after the animals used this combination to name the river which later in turn provided the name for a settlement. There is not believed to be any scientific support for this explanation. In the 16th century, the Middle Don basin, including the Voronezh river, was gradually conquered by Muscovy from the Nogai Horde (a successor state of the Golden Horde), and the current city of Voronezh was established in 1585 by Feodor I as a fort protecting the Muravsky Trail trade route against the raids of the Nogai and Crimean Tatars.The city was named after the river . During World War II, Voronezh was the scene of fierce fighting between Russian and combined Axis troops. The Germans used it as a staging area for their attack on Stalingrad, and made it a key crossing point on the Don River. In June 1941, two BM-13 (Fighting machine #13 Katyusha) artillery installations were built at the Voronezh excavator factory. In July, the construction of Katyushas was rationalized so that their manufacture became easier and the time of volley repetition was shortened from five minutes to fifteen seconds. More than 300 BM-13 units manufactured in Voronezh were used in a counterattack near Moscow in December 1941. In October 22, 1941, the advance of the German troops prompted the establishment of a defense committee in the city. On November 7, 1941, there was a troop parade, devoted to the anniversary of the October Revolution. Only three such parades were organized that year: in Moscow, Kuybyshev, and Voronezh. In late June 1942, the city was attacked by German and Hungarian forces. In response, Soviet forces formed the Voronezh Front. By July 6, the German army occupied the western river-bank suburbs before being subjected to a fierce Soviet counter-attack. By July 24 the frontline had stabilised along the Voronezh River as the German forces continued southeast into the Great Bend of the Don. The attack on Voronezh represented the first phase of the German Army's 1942 campaign in the Soviet Union, codenamed Case Blue. KBKhA Chemical Automatics Design Bureau with notable products:. On the territory of the city district government Maslovka Voronezh region with the support of the Investment Fund of Russia, is implementing a project to create an industrial park, "Maslowski", to accommodate more than 100 new businesses, including the transformer factory of Siemens. On September 7, 2011 in Voronezh there opened a Global network operation center of Nokia Siemens Networks, which was the fifth in the world and the first in Russia. Since 1868, there is a railway connection between Voronezh and Moscow. Rail services form a part of the South Eastern Railway of the Russian Railways. Destinations served direct from Voronezh include Moscow, Kiev, Kursk, Novorossiysk, Sochi, and Tambov. The main train station is called Voronezh-1 Railway Station. Voronezh experiences a humid continental climate (Köppen: Dfb) with long, cold winters and short, warm summers. ^ a b Историческая хроника (DOC) (in Russian). Муниципальное учреждение культуры Централизованная библиотечная система города Воронежа Центральная городская библиотека имени А. Платонова. 2009. Retrieved March 28, 2012. ^ Воронеж может оказаться намного старше (in Russian). Вести. August 19, 2010. Retrieved March 28, 2012. ^ "История". Voronezh-city.ru. Retrieved December 16, 2016. ^ "База данных показателей муниципальных образований". Gks.ru. Retrieved July 22, 2015. ^ "Каталог компаний, справочник компаний России: Желтые страницы России - Евро Адрес". E-adres.ru. Archived from the original on August 30, 2009. Retrieved July 22, 2015. ^ "Рекетнммши Йнд Цнпндю Бнпнмеф". Kody.su. Retrieved December 16, 2016. ^ "День города Воронеж 2015". Mir36.ru. Retrieved July 22, 2015. ^ В. П. Загоровский. "Воронежская историческая энциклопедия". Воронеж, 1992. Стр. 53. ^ А. З. Винников, А. Т. Синюк. "Дорогами тысячелетий: Археологи о древней истории Воронежского края". Издание 2-е. Воронеж, 2003. Стр. 185–187, 236–242. ^ Н. А. Тропин. "Южные территории Чернигово-Рязанского порубежья в XII–XV вв." Автореферат диссертации на соискание ученой степени доктора исторических наук. Москва, 2007. ^ a b П. А. Попов. "Воронеж: древнее слово и древние города, а также древние леса и древние реки России". Воронеж, 2016. ^ Woroneż (Wronasz) is shown on the Woroneż river by Stefan Kuczyński (1936) in a historical map of 15th-century Chernigov, «Ziemie Czernihowsko-Siewierskie pod rządami Litwy». ^ В. П. Загоровский. "О древнем Воронеже и слове «Воронеж»". Издание 2-е. Воронеж, 1977. ^ Е. М. Поспелов. "Географические названия мира". Москва, 1998. Стр. 104. ^ А. Лазарев. "Тайна имени Воронежъ" (The Mystery of the Name of Voronezh). Воронеж, 2009. ^ П. А. Попов. "Комплексный подход в топонимических исследованиях в связи с историей русского градостроительства (на примере Центрального Черноземья)". Девятые всероссийские краеведческие чтения (Москва – Воронеж, 15–19 мая 2015 г.). Москва; Воронеж, 2016. Стр. 423–434. ^ Russiæ, vulgo Moscovia, pars australis in Theatrum Orbis Terrarum, sive Atlas Novus in quo Tabulæ et Descriptiones Omnium Regionum, Editæ a Guiljel et Ioanne Blaeu, 1645. ^ Alex Levin, Under The Yellow & Red Stars Archived August 9, 2016, at the Wayback Machine (Azrieli Foundation, 2009), pp. 45ff., "The Suvorov Military School". ^ Dahlberg, John-Thor (October 11, 1989). "Voronzeh Scientist Quoted by TASS Casts Doubt on UFO Landing Story". Associated Press. Retrieved March 21, 2014. ^ "UFO lands in Russia? Writer now waffles". United Press International. October 10, 1989. Retrieved March 21, 2014. ^ Fein, Esther B.; Times, Special To The New York (October 11, 1989). "U.F.O. 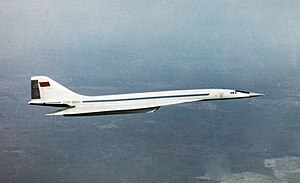 Landing Is Fact, Not Fantasy, the Russians Insist". The New York Times. p. 6. ^ "В Воронеже родился миллионный житель". РБК. Retrieved July 22, 2015. ^ "Главная страница - АО "Концерн «Созвездие"". Vsm-sorter.com. Retrieved July 22, 2015. ^ "Voronezh Mechanical Plant". Vmzvrn.ru. Retrieved July 22, 2015. ^ "MMHC RUDGORMASH Mining Machinery Holding Company". Mmhc-rudgormash.com. Retrieved July 22, 2015. ^ "НИИПМ-->О компании-->Институт сегодня". Vniipm.ru. Retrieved July 22, 2015. ^ ""Конструкторское Бюро Химавтоматики" - Главная". Kbkha.ru. Retrieved July 22, 2015. ^ "Pirelli, Russian Technologies joint venture launches technologically advanced second production line at Voronezh". Pirelli.com. Retrieved July 22, 2015. ^ "Главная - ЦКР". Cluster36.ru. Retrieved July 22, 2015. ^ "Жд вокзал Воронеж | Оригинал жд билета | Жд билеты | Международный аэропорт "Стригино" г. Нижний Новгород, РЖД билет, купить ж д билет, рейсы самолетов в нижний новгород, телефоны справочного бюро аэропорта стригино, заказ ж/д билетов, стоимость жд билетов, билеты на поезд, бронирование, авиарейсы - Аэропорт Нижний Новгород - Нижегородский аэропорт - сайт аэропорта нижний новгород стригино - МЕЖДУНАРОДНЫЙ АЭРОПОРТ НИЖНИЙ НОВГОРОД". Nnov-airport.ru. Archived from the original on June 30, 2017. Retrieved December 16, 2016. ^ "Voronezh, Russia Köppen Climate Classification (Weatherbase)". Weatherbase. Retrieved November 13, 2018. ^ "Voronez (Voronezh) Climate Normals 1961–1990". National Oceanic and Atmospheric Administration. Retrieved December 10, 2015. ^ "О филиале". Cb.rgup.ru. Retrieved July 22, 2015. ^ "Воронежский камерный театр". Chambervrn.ru. Archived from the original on August 21, 2015. Retrieved July 22, 2015. ^ "Воронежский Академический Театр драмы им. А. Кольцова". Voronezhdrama.ru. Retrieved July 22, 2015. ^ "Воронежский государственный театр оперы и балета – официальный сайт". Theatre-vrn.ru. Retrieved July 22, 2015. ^ ".:. Òåàòð Êóêîë - "ØÓÒ" .:". Puppet-shut.ru. Retrieved July 22, 2015. ^ "Фестиваль". Platonovfest.com. Retrieved July 22, 2015. ^ 14:50. "В Воронеже открыли одну из крупнейших синагог России". Rg.ru. Retrieved December 16, 2016. ^ "The Jewish Community of Voronezh". evrei-vrn.ru. Retrieved August 6, 2016. ^ Рациональная маршрутная сеть. "Воронеж: официальный сайт администрации городского округа". Voronezh-city.ru. Retrieved March 12, 2013. ^ "City of Brno Foreign Relations - Statutory city of Brno" (in Czech). 2.brno.cz. Archived from the original on January 15, 2016. Retrieved September 6, 2011. ^ "Brno - Partnerská města" (in Czech). Brno.cz. Retrieved July 17, 2009. ^ "Ciudades y pueblos se benefician del hermanamiento con otros territorios". Larazon.es. Retrieved September 16, 2011. Воронежская областная Дума. Закон №66-ОЗ от 31 октября 2005 г. «О наделении муниципального образования город Воронеж статусом городского округа». Вступил в силу по истечении 10 дней со дня официального опубликования (18 ноября 2005 г.). Опубликован: "Коммуна", №171, 8 ноября 2005 г. (Voronezh Oblast Duma. 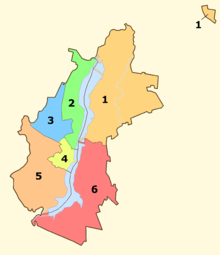 Law #66-OZ of October 31, 2005 On Granting Urban Okrug Status to the Municipal Formation of the City of Voronezh. Effective as of the day which is 10 days after the official publication date (November 18, 2005).). Charlotte Hobson's book, Black Earth City, is an account of life in Voronezh at the time of the fall of the Soviet Union based on her experiences after spending a year in Voronezh as a foreign student in 1991–1992. Nadezhda Mandelstam's Hope Against Hope, the first volume of her memoirs concerning her husband, the poet Osip Mandelstam, provides many details about life in Voronezh in the 1930s under Stalinist rule. Wikimedia Commons has media related to Voronezh.